In this section we will be adding real stories written by people who practice Corporate Resources regularly (whether for many years or just months) as well as letters we received from people who just discovered Corporate Resources, or want to share what they felt while visiting our site. Some are short notes, and some are astoundingly personal letters describing events in the lives of the authors which took our breath away. We encourage everyone who has had an experience in Corporate Resources to share it with us by sending us Email at , although due to space limitations, it will not be possible to publish them all. The identities of all contributors will be protected. We have working with Corporate Recources many years and have always been impressed by their professionalism and best customer service to provide us with strong candidates. "Professional way of working, also good knowledge about Pan India." "On overall we are happy with the services offered by the Corporate Resources Placement Company." "We have been working with your good selves for some time now and we are very satisfied with the level of professionalism and promptness. We look forward to continue, mutually beneficial relationship." "Overall we are getting professional service and prompt response. Those who have joined Through your organization has contributed a lot as per the expected position/Role." "The Services rendered, especially talent search support has been comparatively very Quick and with prompt response / feedback." "We are pretty much pleased with your delivery of resumes in relevance to our required Profiles and also with initial short listing." "We are happy with the services provided so far." K Disuja - STEAG Energy Services (India) Pvt. Ltd.
"Total turnaround comprising short listing, interview and selection accomplished in a relatively short time frame. Provided a reasonably good shortlist of candidates. Good follow-up Service in finalizing the appointment." "Overall Corporate Resources is still one of our top firms. The Company would be smart to invest In SKYPE account so that interviews can be carried out online using a webcam. Overall good Company." "Corporate Resources HR Solutions is one of the best organizations in India for getting quality heads. They excel in their Deliveries, commitments to the best of customer satisfaction. Overall good and committed Organization. Our future needs and requirements for quality manpower the simplest equations Corporate Resources HR Solutions only." "Your support to Lear since its conception and inception in India by providing topnotch human resources has helped it greatly to achieve this excellent organizational image. The employee of Lear is also grateful to you (UPCL) for providing them with an opportunity to work for such a great company." "Services rendered by Corporate Resources are good and satisfactory to our needs." "We have always been able to rely on your Company to be discreet and find suitable candidate who fit our needs. Candidates have been honest, hardworking people which are very important in the countries we operate in." "If today General Motors India is acknowledged as having the most professionally qualified workforce in the country, lot of credit goes to you (UPCL) as well for being an integral part of the process." Mr. P Sheth - Gujarat Sidhee Cement Limited. "I must mention that entire process of SC scrutinizing routinizing and selecting the candidates was conducted in an excellent manner as per our requirement and I find it imperative to write to you this letter and express my gratitude to your staff." "The report titled 'ORGANISATIONAL AND HUMAN RESOURCE ASSESSMENT' was done very diligently and meticulously keeping in mind all minute details. Dr. Pahuja himself spent 5 days interacting with our staff." Mr. Kamol Saklo - Kotak Mahindra Old Mutual Life Insurance Ltd.
"I am happy to put on record that your data bank is truly rich, Response time very low and follow up with candidates very close. All these put together make your placement agency the best among once I have come across so far." "We have been using the services of Corporate Resources exclusively for our requirement of managerial Positions over last 3 years. We found their services highly professional and they pay personal Attention to all details and observe high degree of ethics in this business of placement." S Kumar Pal - Magma Fincorp Limited. "I am very impressed with the professionalism of Ansuya. She more than deserves the high rating above. In addition, I feel that her good leadership in directing her team will add value to the business. She is one of the best recruiters in Asia Pacific that I have worked with." "We are quite happy and pleased with your services and fairness. You are very customer oriented and we don’t see much of that with others. We would gladly give you 8/10 as an overall mark. Looking forward for a good and long term business relationship." 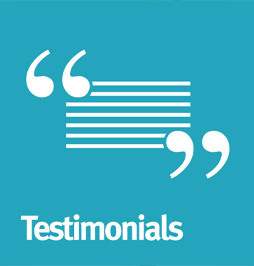 "We appreciate the references were a focal point for all candidates the Agency submits." "See a very good improvement in quality of search and delivery levels"
"Corporate Resources is fully transparent in their operations and I am fully satisfied with the services provided y them as well as the company with I have joined through Corporate Resources. I am really thankful to them for helping me to get this job. My employer company is good and I am satisfied with the company and the job." "In my 25 years of various assignments, I found Corporate Resources to be BEST in all respects and I will never be hesitant to recommend the Agency in all my professional and business contacts." "I am really grateful to Corporate Resources HR Solution for their Support. Employees at Corporate Resources are very responsible. Level of communication and selection procedures of Corporate Resources people is outstanding. Thank you very much for your outstanding support." "I am really grateful to Corporate Resources for their Support. Employees at Corporate Resources are very responsible. Level of communication and selection procedures of Corporate Resources people is outstanding. Thank you very much for your outstanding support." "Basically I am from very rural area of Maharashtra with the help of CORPORATE RESOURCES I got good opportunity to work in abroad and big agriculture company. As agriculture become very serious as well as crucial. This is the good agency for Agriculture graduate to find the jobs in abroad whose want to do hard work and make their future very bright. Thanks a lot to Corporate Resources Consultant I will do hard work then known of a candidate send by CORPORATE RESOURCES is Hard worker and result oriented. Hope for best. Thank you." "Presently I am doing well in Ahmedabad; G.D. Industries in Gujarat is a very good company. I would like to thank all the staff members of Corporate Resources for their kind co-operation and support. My special thanks and regards to Nisha Madam and Rashmi Madam." "I am so happy about personal care taken by Corporate Resources HR during the selection process, travel to Nigeria. Thank you very much your support and coordination." "I would recommend Corporate Resources to others since it is the best in India. I am happy with the service and in future too I would depend on Corporate Resources for my job requirement. Thank you." "The new job gives me full satisfaction as I got an opportunity to understand the international market"
"I would Rate Corporate Resources much higher than any other Consultancy in India for its uptime responsiveness, co-ordination, professionalism and excellent relation-ship maintenance." "The selection process was good and quick with good communication and no hitches experienced. Was overall excellent." "As per my opinion about Corporate Resources Consultancy is very excellent in terms of response, communication between employee and new employer. I really appreciate this kind of co-operation." "It was a really nice and good experience which I got from you. Any queries I made was replied promptly and I was also kept updated everytime of the process by RINA…I am very satisfied." "Very satisfactory job done by Corporate Resources consultant ,kindly keep up your good work"
"Corporate Resources consultant provides me an international platform to work. I m thankful to them." "Corporate Resources is fully transparent in their operations and I am fully satisfied with the services provided by them as well as the company with I have joined through Corporate Resources. I am really thankful to them for help me to get this job." "Corporate Resources have such kind of expertise putting right candidate on right job with right organization, striking balance between employee and employer interest. Corporate Resources staffs are not only guiding but also caring with humble behavior with through professionalism. Yes we can rely on Corporate Resources for their integral and responsible attitude"
"For Right Candidate – Right Place” this sentence prove by Corporate Resources Consultancy. I am Happy with u." "It was a really nice and good experience which I got from you. Any queries I made was replied promptly and I was also kept updated everytime of the process by RINA…I am very satisfied"
"As per my opinion about Corporate Resources Consultancy is very excellent in terms of response, communication between employee and new employer. I really appreciate this kind of co-operation"
"The selection process was good and quick with good communication and no hitches experienced. Was overall excellent"
"The guidance given by your company in regard to relocation to Mombasa, was informative and helpful"
"Ms Mahesurya is an excellent representative of Corporate Resources , she was very clear and honest throughout and even now.You must also give a letter to candidates about the terms and conditions agreed between employer and employee, as some of the reputed consultants do that. This is to take care of candidate’s security and safety"
"I appreciate the persistent efforts at convincing me in accepting the offer. My initial experience is very good. The management has made all efforts to make me settle down comfortably. I am sure the future would also be very pleasant experience"
"A responsive communication. Special I thanks to Ms. Pooja and her team, who coordinate with me. CORPORATE RESOURCES has a effective process of candidate selection. They take care of candidate’s personal benefits with their client’s requirement. Special I appreciate their team who help the candidate (special Overseas Appointment) in resolving the doubts about the country as well as organization"
"I am thankful to Corporate Resources for Short listing me as one if the probable candidate for Shelys and give me The opportunity to work for international business. Corporate Resources has one of the best selection procedure and Excellent communication. Supportive and co-operative employees"